Come to the Urban Arts Collective at Urban Eats Cafe for cocktails and appetizers featuring two local artists. Thomas Jackson Park’s “Middle Works” will be on display. These pieces reveal Thomas’ evolution as an artist in developing his techniques to create bold abstractions. A portion of Parks’ sales will go to Prosperity Connection, whose mission is to help individuals and families earn economic independence through financial education, community services, and low-cost banking options. Pam Schaffner’s show “Flowers Among Us” will showcase beautiful flowers of all shapes and sizes seen through the artist’s lens. 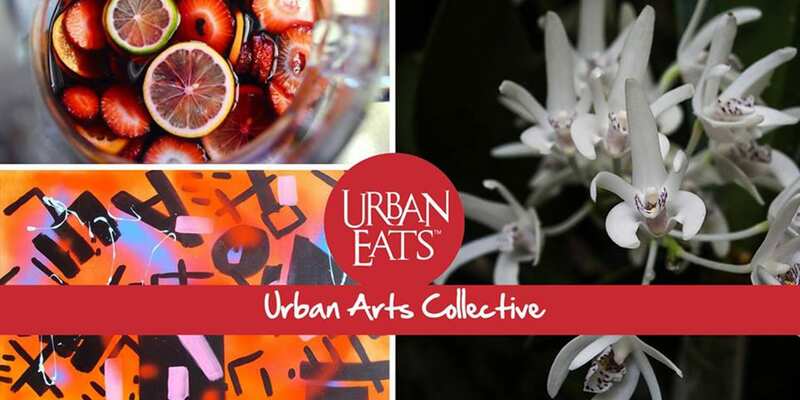 Cocktails and small bites will be the featured food of the evening with Urban Eats’ famed Very Berry Sangria making its spring 2018 debut. This event was updated on May 14, 2018 . See more Art, Dutchtown, Happy Hours, and Urban Eats events.